IDcap is an agency specialized in web accessibility and adapted tourism, it's also a partner. As part of the launch of its activities, IDcap wanted to offer a showcase to highlight its skills and services. 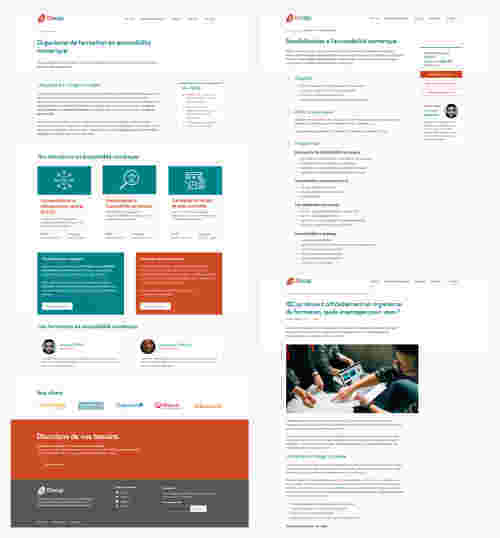 Accessibility is at the heart of their strategy, so it was essential that the site respond as best as possible to the rules and criteria in effect. I worked closely with IDcap on the whole project: design, responsive integration and WordPress development. You think we should be working together? You are looking for a designer to help you achieve your goals? Get in touch and I'll come back to you!